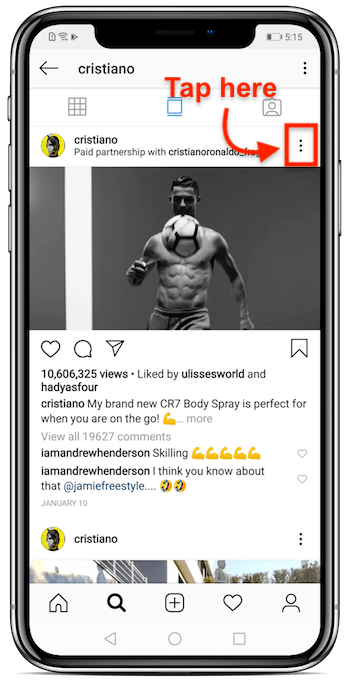 Open your Instagram app from your Android mobile device. 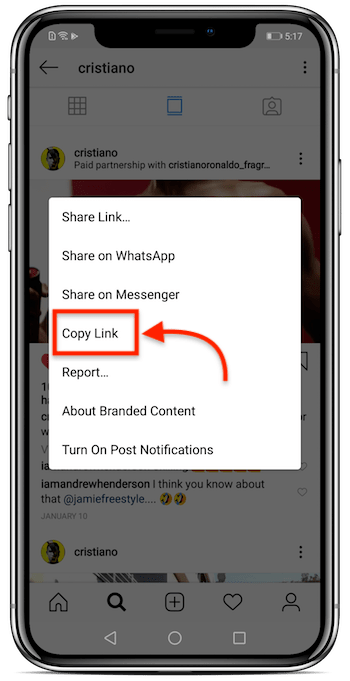 Then tap the 3-dots on any video or photo, then tap copy link. 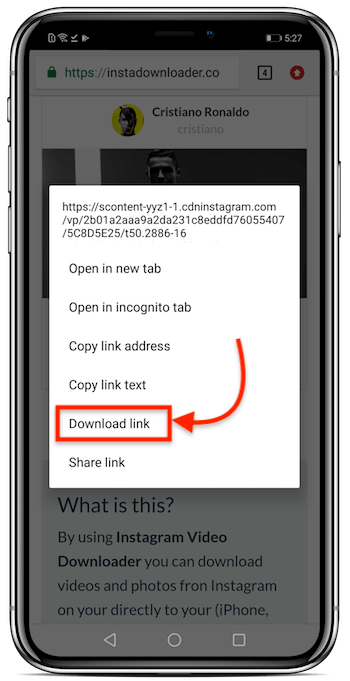 Go to Instagram Video Downloader and "Paste" your link, then hit the Download button. 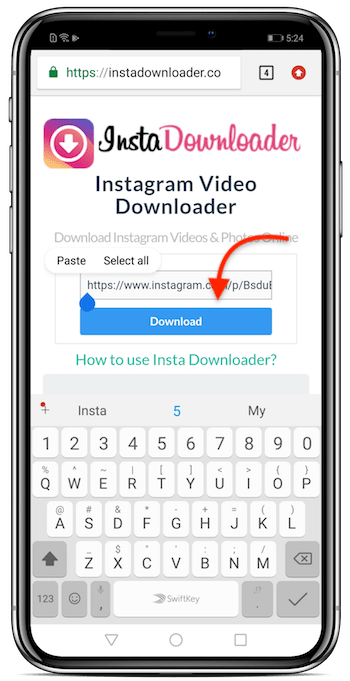 Your Video or Photo is now ready, tap & hold on "Download" button, then hit Download link.